Lapar. Jadi sia masak lah. 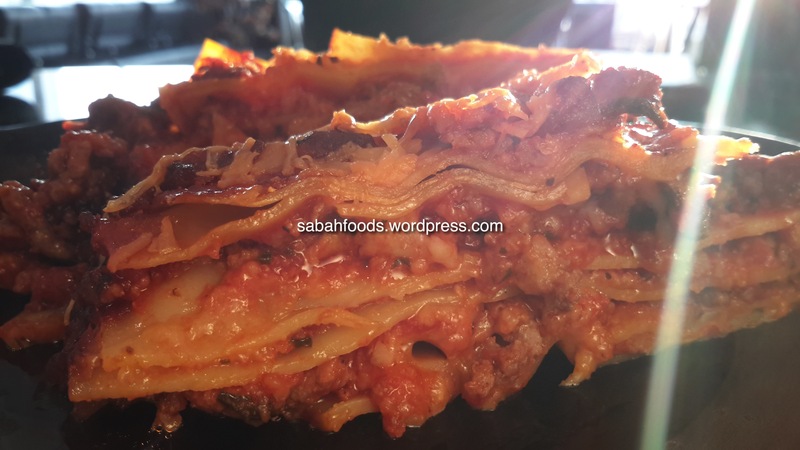 Ingredients: Instant Lasagna, Garlic, mince lean meat (I used buffalo meat instead of beef, but cooked it a bit more longer), pasta sauce (original), cheese (I used all the leftover in the fridge – Mozarella, Parmesan, Cheddar…). I heat them 180 degrees for 30-45 mins depending on the thickness. Here’s a video to show you how it’s done.